Are you sick of being unable to locate or contact your fleet of vehicles? Fleet tracking systems are a fantastic and highly useful way of keeping contact and an accurate idea of the location of your drivers and their vehicles, such as cars and vans, at all times. Fleet tracking equipment can potentially help save your business valuable time and money. This is achieved by the system giving you an overview of the route that each individual vehicle has taken and can help you to manually identify routes that can be adjusted to become more efficient. Fleet tracking systems use GPS technology to identify, locate and maintain contact reports with either a single vehicle or group of vehicles. You can view the exact location of your vehicles in real-time which can assist with both optimising the routes your vehicles take and the system also allows you to ensure that your drivers are where they say they are and where they should be. You’ll have immediate access to the location history of your cars, vans and fleet vehicles at all times. This allows precise time-management, current and forward journey planning and the system is even responsive to changing travelling conditions. Need more than fleet tracking? Whether you’d like to keep your team of employees in contact with a mobile or you’d like to increase your company’s technological ability with broadband on the go, we’re confident that we have a product that will suit your needs. 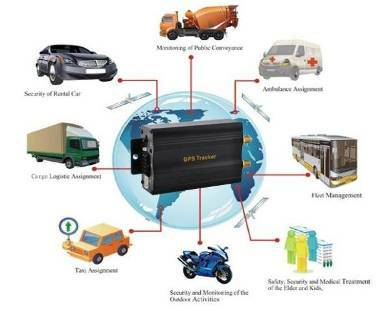 We offer GPS fleet tracking systems for as low as £8.50 a month. We supply and fully fit devices from £129 (+ VAT).